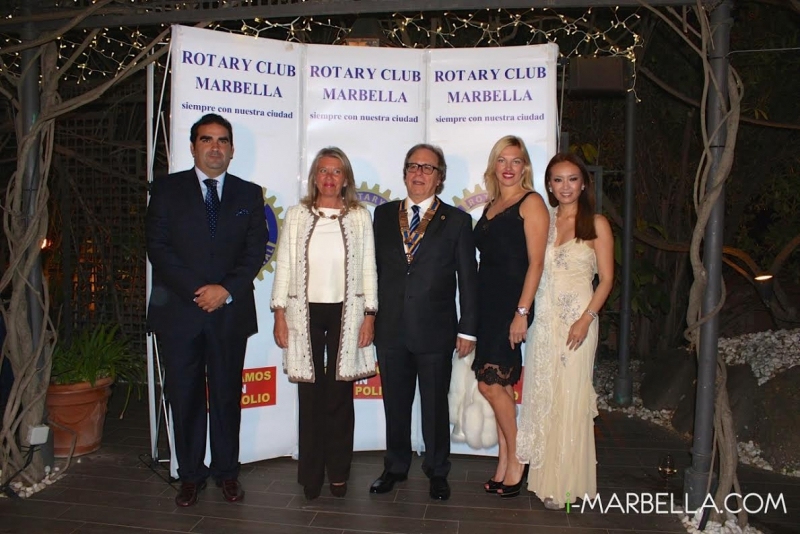 Rotary Club Marbella Gala took place on Saturday, April 18 at La Meridiana Restaurant. Each guest made a donation in the amount of 60€. All of the proceeds will go to Los Olivares de Marbella, a centre for the mentally ill. Guests were able to participate in a golf lesson, courtesy of the The Professional Golfers' Association of Andalusia, sponsoring the event. Anyone who would like to join the meetings and charitable activities organised by Rotary Club Marbella should contact the Club via http://www.rotaryclub-marbella-g.org. Rotary Club Marbella will continue its hard work and dedication to the well-being of the society. Thank you very much for your trust and collaboration! Thank you Saeko , my pleasure. Thank you very much for all your support and participation. Thank you i-marbella.com for your constant help for Rotary Club Charitable activity for last 7 years. Annika Urm Thank you for your publication and your collaboration for Rotary Gala as always.